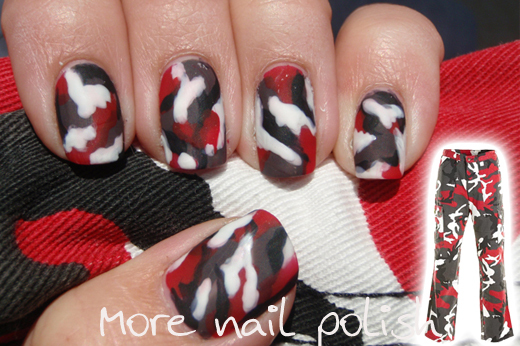 I entered Swååfie's 'inspiration' nail art contest, with my kevlar motorcycle pants inspired design. Topped with Essie matte about you, it looked kinda cool. I was bummed however that I created my fun and funky Autumn design a few days after submitting this to Swååfi's contest. I think it would have been doing a better job in the voting had I entered it. love it!! You did a great job the design looks perfect! Now THIS is awesome! Red and black always make a kicking combo, and the design itself is so cool looking. Great job!